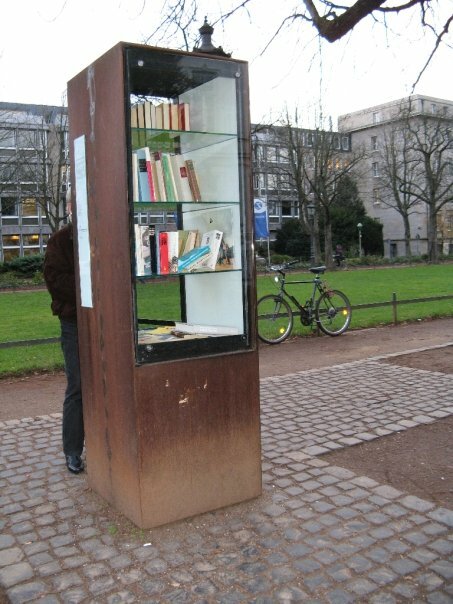 A Bookcase, set in a public setting (sort of a park in this case) accessible at all time for all. No rules. A person may choose a book, take it home to read and bring it back... or keep it... or exchange it for one of their own books. 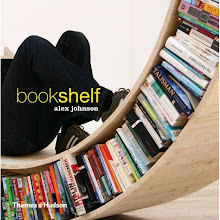 The first Public Bookcase was presented 2003. All of them are organised and taken care for by a citizen initiative - Bürgerstiftung Bonn. Expenses are mostly met with the help of donations and volunteers. Since October 2005 there is a second one at the Rhine riverside. 2006 - a small pavilion is turned into an open book stop following the same concept.